Imagine for a moment you have to navigate your way around Malvern blindfolded. Would you still recognise the town? How would you deal with things like crossing the road? 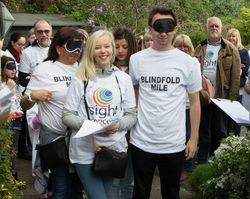 Next April, the local charity Sight Concern is holding Walk the Blindfold Mile Malvern. The event aims to involve at least 100 people walking in pairs around Malvern. One of the pair is blindfolded while the other is sighted. Along the way there will be a number of sensory challenges to complete. Starting and finishing at Malvern Cube, the route will include the Library, the Priory, Malvern Theatres and Priory Park. 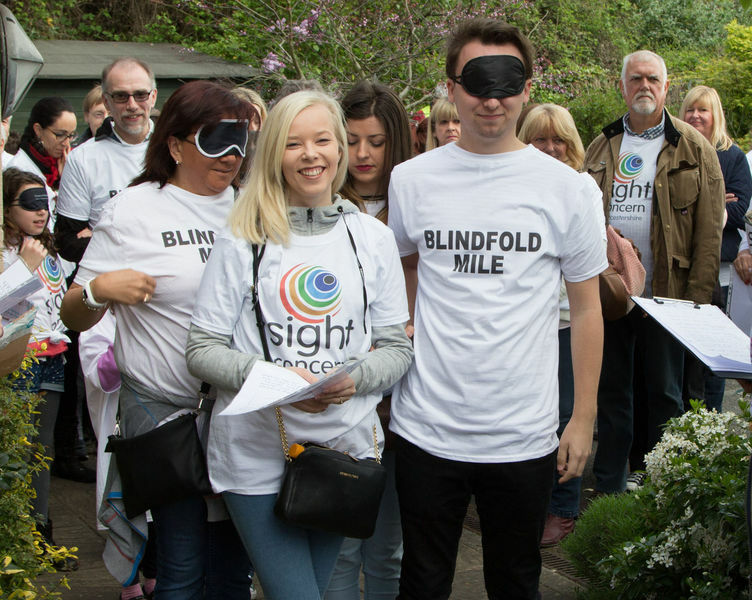 Participants experience some of the challenges that blind and partially sighted people overcome each day. The event will help to raise money for Sight Concern, which ran a similar event in Worcester last year. That was described as a very powerful, memorable and attention-grabbing experience by many of the people who took part. Friends, family, work colleagues and schools are all invited to take part on Saturday 21st April 2018 (children will need to be supervised). There is an entry fee and each participant is encouraged to raise sponsorship.